If you lived on this planet, you’ve learned that brushing your teeth is important—your teachers, your doctors, and certainly your parents have told you that. But what if we told you there are reason to not brush your teeth? It’s true—there are times where brushing your teeth would be a mistake. Bet your mom didn’t teach you that. In this blog, the Gaithersburg dentists at Clopper’s Mill Dental Care will show you the scenarios where brushing your teeth would be a bad idea. Take notes, and teach the whole family when to put the toothbrush down! DO NOT brush your teeth right after eating. When you eat something that’s high in carbs or sugars, a special chemical reaction happens in your mouth. Bacteria begins to form, and those bacteria will interact with the acids in your food, creating an “acid attack” that temporarily weakens your tooth enamel. If you brush your teeth right after you eat, you’re essentially damaging your tooth enamel while it’s at its weakest. Ultimately, the best choice is to wait 30 minutes after you eat to brush your teeth, or to brush your teeth before you eat to reduce the amount of bacteria that can interact with the acids in your food. Once you’re done eating, drinks some water—this will help wash the acids on your teeth down the proverbial drain. DO NOT brush your teeth with a hard-bristled tooth brush. STOP! Put the hard-bristled toothbrush down! We’re not putting a complete stop to your brushing—just until you’ve bought yourself a soft-bristled toothbrush. 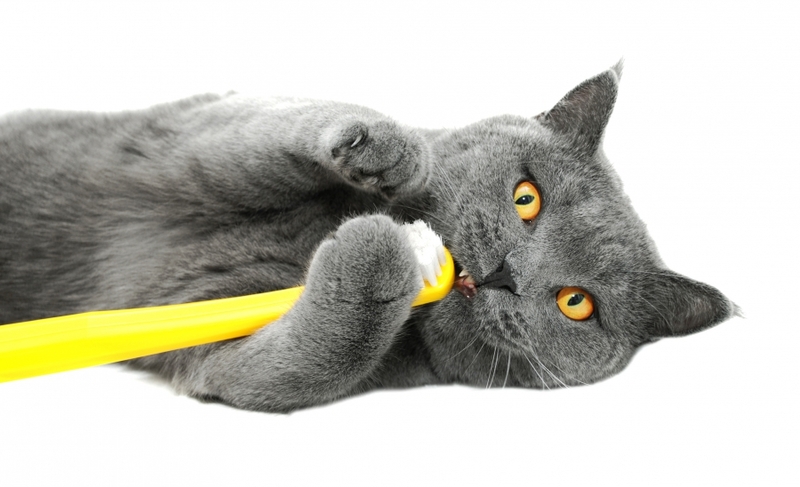 A hard-bristled toothbrush might make sense on paper. After all, hard bristles are great for a clean kitchen. However, hard bristles will once again do damage to your tooth enamel, scraping away at the layer which protect your teeth and gums from decay and infection. Opt for a soft brush, and don’t brush too hard—a little elbow grease and the right brushing motion can go a long way. DO NOT brush your teeth before drinking orange juice. Didn’t your mom teach you anything? Why would you subject yourself to such foul tastes? Talk to your Gaithersburg dentist today! If you want to learn more about proper brushing habits and how not to brush, you can look up and down the Clopper’s Mill Dental Care blog—but you can also ask your dentist during your next routine appointment. We’re happy to give you tips that will keep your smile healthy and beautiful for years to come. Get started with Clopper’s Mill Dental Care today!